We’d love your help. Let us know what’s wrong with this preview of The Gordon Place by Isaac Thorne. Meanwhile, Channel 6 News feature reporter Afia Afton—who Lost Hollow constable Graham Gordon just walked into his abandoned childhood home for the first time in twenty years. Local teenagers have been spreading rumors about disembodied screams coming from inside. Now, thanks to a rickety set of cellar stairs and the hateful spirit of his dead father, he might never escape. To ask other readers questions about The Gordon Place, please sign up. The tale starts by inviting into a condemned place and condemned souls, men with troubles of hate and alcohol, a bad father who had beaten down on a son with a possible chance in life, memories, the dead past and the bad things remaining. There is mention of murder of a past time, ones of hate, things from past revisiting our main character, a son of a man, kin, human but not humane. Reeling and hooking you in to the tale successfully with need for answers with all the other world things occurring The tale starts by inviting into a condemned place and condemned souls, men with troubles of hate and alcohol, a bad father who had beaten down on a son with a possible chance in life, memories, the dead past and the bad things remaining. Reeling and hooking you in to the tale successfully with need for answers with all the other world things occurring, serving up a haunting entertaining read. There will be entities of a kind with the newly founded invested interests in the fates of denizens of Lost Hollow and this haunted dwelling Gordon Place. Small town, Lost Hollow, bad histories and mysteries. You will start wondering Small towns do all of them have secrets? The Gordon Place is my first go around with Mr. Thorne’s work, although I’ll admit I’ve had his collection Road Kills on my radar for some time. 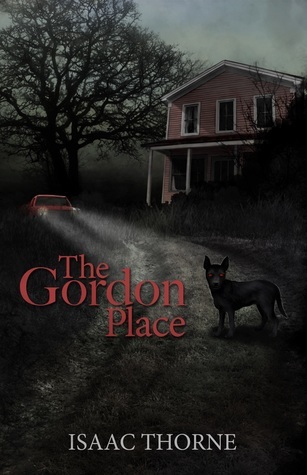 The synopsis/premise of The Gordon Place, is itself intriguing. The small town of Lost Hollow has one constable, Graham Gordon. Graham returns to his abandoned childhood home. The house itself holds horrible memories from his youth, and he’d vowed to never return. But now duty calls and he must. Meanwhile a newscaster whose father was a victim of a horrible hate-crime returns to Lost Hollow in the hopes of uncovering a solid ghost story to run. Something that’ll bump her ratings but also, hopefully in the off chance it happens, answer some questions she’s always wished answered. It doesn’t take long before the constable and the newscaster’s paths cross and they discover their pasts are intertwined in ways they’d never imagined. Thorne does some magnificent character building in this story. He starts off with a foreword letting us know that there’s some very unsettling content within, and the truth of the matter – there is. But set in the context of the story, the time line/years of occurrences and the nature behind why it’s all included make perfect sense and I never once felt uncomfortable in the sense that it was excessive. Don’t get me wrong, the story line that goes with it is highly uncomfortable, but it has a purpose and for that Thorne deserves some tremendous props. The ghost story included is fascinating, even while only making me feel creeped out a few times. The ‘creature’ within that rear’s its head a few times was unsettling, but overall this read more like a well-paced drama then a gore filled haunted house tale and it worked really well.